As mentioned in the previous post we’re continuing, with the Commitment Statements and with how – for example, as the Child become the Character of Conservatism for that ONE POINT of and as desire, want and need for relationship, would then protect and defend this Character from and of anything/anyone in the within and without of themselves, with, as and through the Suspicion Character to ensure that that ONE POINT manifest within her and her life: NO MATTER what extents/lengths she has to go to; and the extents we go to in our Minds of shaping our thoughts, internal conversations, reactions to always in all ways protect and defend our Primary Characters, and so OUR wants, needs and desires – no matter what the sacrifice. I commit myself to show – the consequences that manifested within and between parent-child relationships, with us as parents in our behaviour, speech and presentation not being 100% equal and one in our within and without as Living Examples. Where our external had come to only show the 1% of the totality of various Characters in our Minds; and so when and as, for example – children base their decisions of ‘who they are/will be/become’ only on the 1% of a Character they copy/imitate from the parents as living-examples, with for example the example utilized of the Mother and the Father relationship portrayal/presentation, where the Child will in that moment, not see, realise and understand how she’d have to create, construct and manifest herself to equally as one become that 1%/ ‘Conservative Character’ external portrayal/representation of ‘relationship’ as her Parents with becoming the Character of Conservatism with the 99% compromise, essentially that she’ll align in her Mind-Physical and life-experience relationship to condition herself to that One Moment/Point as Relationship in her future – a process which we will walk-through specifically to show/reveal the consequence of accepting and allowing ourselves to live in ‘split worlds’ as Characters where our within and without is not equal and one. I commit myself to with and through writing, self forgiveness and self-corrective application – assist and support me to ‘get to know the 99% of who I am’ within my Mind-Physical existence, walking Character by Character as the various Minds and Selves I have separated myself into and as, identifying that One Point as ‘neutral memory’ I have held-onto as ‘my precious’ that has become the one point (s) of the Characters/various versions of selves I have created/manifested myself into and as, that has divided me internally into various versions of myself, and internally and externally divided me into how I portray/present only 1% of the reality of me, while within the 99% I scheme, compete, deceive and compromise my relationship to me and others, in my ‘pursuit of happiness’ of materializing those/such interests. As I within this, see, realise and understand that as long as I separate me in my own mind, as well as within my living in my internal and external, I will become possessed by own interests, consumed with my own interests – to the point where I’d sacrifice my beingness, my physical-body, my relationships with other human beings, and so my living in and with this physical-existence just for MY interests; which is what everything/everyone is in the process of accepting and allowing that is compromising humanity/this world. To so stand as a living example, equal and one in my within and without, align me to the One Point as One Decision for and as Life, what’s best for all, equality and oneness to direct my responsibility/directive-principle and living to where it was supposed to have been from the beginning: All as me – and so in fact manifest heaven on earth, instead of the illusion of heaven/angels/positivity that is being promoted in this world, where we live the 1% angelic representation/portrayal, while the 99% of demons we’ve become in our Minds ruin/destroy and annihilate this physical existence as each is only concerned with their individual interests, instead of us all living in consideration, regard and honour of ourselves and all as Life. As Friend A started coming of age – she was exposed to promiscuousness – friends, media, magazines, conversations etc. Now, with her relationship with her Mother, equally as one being aligned to her in the process of creating/manifesting herself into and as this ‘Conservative Character’, (as she would align her relationship closest to her idol/living example that she is in the process of imitating/copying to a similar/same Character of Conservatism), Friend A would equally as one develop her language/vocabulary for this Character within her Thoughts, internal conversations/backchats, reactions and behaviour as the components that a Character within and of the Mind consist of/exist as, from and of observing her Mother. The memories Friend A would accumulate within the Platform/Framework of her Conservative-Character manifestation in her Mind-Physical relationship, would be ‘live memories’ of her and her mother, where her mother made remarks/responses – projecting her view and experience/reaction to Promiscuousness / to people that are Promiscuous. Such Memories that Friend A would align into her Subconscious Mind, where her Mother’s words would become the voices in her Head that talk/speak the sentences/remarks/views in relation to promiscuousness, together with the emotional/feeling body as reactions that her mother expressed in the physical within those memories that Friend A would manifest as the emotional/feeling body as her reactions of the ‘Conservative Character’ in its relationship to Promiscuousness. And so – the internal conversations/backchats and reactions of emotions/feelings would become the internal negative reality/existence in the Conservative-Characters relationship to Promiscuousness, with the Conservative Character existent as the positive that is externally portrayed/secured/protected/defended and validated, within the positive-negative interplays that manifest in the Secrets of the Mind of Friend A as the relationship she develop as the Conservative-Character to/towards/as Promiscuousness. To so ensure that she can continue existing as the Conservative Character, and so eventually materialize the ‘neutral point/memory as the One Decision’ of who she is as the Memory of the Relationship with and between the Mother and Father. 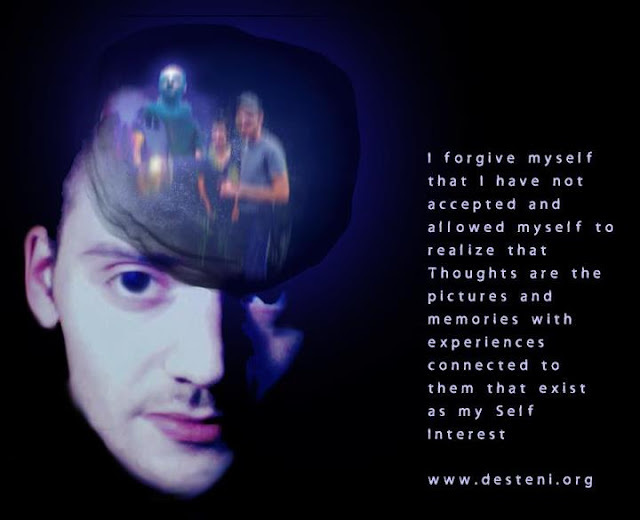 In this, I forgive myself that I haven’t accepted and allowed myself to see, realise and understand the processes that manifest in the development of the ‘voices in the head’ as manifested within internal conversations/backchats to even our reactions of emotions/feelings of particular-specific Characters that we had come to imitate/copy from and of the 1% of what our Parents, for example portrayed/presented. Where from there, we accumulate memories of conversations, views, behaviours and reactions of the Character the Parent portray/represent. As with for example Friend A in relationship to her Mother, will within her Unconscious Mind platform/framework accumulate all memories where her Mother activate the ‘Conservative Character’, to equally as one construct/manifest her own ‘Conservative Character’. And so within such memories, utilize her mother’s language/vocabulary, views, remarks/responses and behaviour, to build, construct/manifest herself into and as an equal and one/similar/same mirror as her mother – just for that ONE POINT of relationship in the Future. And so, as for example Friend A is exposed to promiscuousness in her external world/reality, what will manifest within her, is for example reactions of fear/uncomfortability, as the memories in her platform/framework of the Conservative-Character activate when/as her mother responded in speech and behaviour and experience to/towards Promiscuousness in an equal and one manner of fear/uncomfortability, will speak similar/same views, remarks and responses within her Mind and external communication as her Mother did within the Memories Friend A accumulated within her Unconscious-Mind. And within that thus – develop/align her ‘Suspicion Character’ to protect/defend her against anything/anyone ‘Promiscuous’ – because in continuing her relationship in the polarity between Conservatism and Promiscuousness in her within and without: Making the Conservative Positive and the Promiscuous Negative – she holds the Neutral Point of materializing her want, need and desire for Relationship, with protecting/defending her Conservative-Character with deliberately creating her own ‘competition’ within herself between Conservatism and Promiscuousness. A polarity of positive and negative which must exist in creating a polarity between the positive and the negative, as the negative actually feed/validate/fuel the positive, as her negative relationship/experience to promiscuousness will feed, fuel and validate her Character of Conservatism. I commit myself to show – the detail of how we create, manifest and construct Characters / Primary Characters from and of parents/the examples that have gone before us, and the extent to which our internal conversations/backchats, the words we speak, the reactions of emotions/feelings we experience: is/has been copied/imitated and ‘personalized’ from and of our Parents, to the extent where thus: the internal conversations/backchats are the voices of our parents in our Minds, and the reactions that we have accepted and allowed/blindly accepted and allowed without question, introspection/self-investigation originate from and of our Parents/others/those has gone before us, to align us within Character that we’ve copied/imitated from parents/others/those have gone before us that will have a starting-point Memory/Seed of what we have observed, for example as children from and of our Parents that will come to define our entire life, and internal and external realities. Which, within this places into question: “Do we really in fact know who WE are as individuals, if our very reactions/experiences of emotions/feelings have been copied/imitated from and of others, in alignment with a particular-specific Character that we copied/imitated, with the internal-conversations/backchats as the voices in the head originating from Memories of conversations, for example of Parents that is speaking in and as our Minds as ourselves, together with our very relationship to the physical-body as we align our behaviour in accordance to such particular/specific characters, enforcing and imprinting onto our beingness and physical-body and relationships with other human beings Mind-Constructs/Components/Characters that we’ve copied/imitated from parents/others? Where we thus have no relationship to ourselves, our physical-body/who we are as individuals in our relationship to others/this physical existence, as we literally mould/shape/manifest ourselves from the internal to the external based-on what we’ve observed from those that has gone before us. I commit myself to, through writing, self-forgiveness and self-corrective application, assist and support me to discover ‘who I am’ in an equal and one relationship with my beingness, my physical body – as I see, realise and understand that I have separated my ‘who I am’ into various versions of myself as Characters based on OTHERS, with other’s voices in my head and experiences that has become my own as I accepted and allowed myself to merge me in an equal and one relationship with other’s Characters in my Mind-Physical Existence. And so, I commit myself to show how/why no-one else is responsible for the thoughts, internal conversations/backchats and reaction that is existent within and as ME, as I have BECOME IT as ME, I have been the one that created/manifested/constructed me into and as Characters – no-one else made the decisions/creations of who I am/have become within me BUT ME, within my acceptances and allowances within and throughout my life. And so, it is for me to take responsibility for all the characters, the thoughts, the internal conversations/backchats and reactions, as well as behaviour of and as me– to re-align me to me, the physical body in equality and oneness, to from the Life of the Physical, stand up and rebirth me into and as who I am as equal and one to the physical/this physical existence. As I see, realise and understand from the examples that has gone before me, that the separation of ourselves from our beingness the physical body and so this physical existence, had only perpetuated consequence individually and collectively. And so I commit myself to align me to and as a living example of equality and oneness/life as the physical/this physical existence, to show that how we have been living/creating ourselves in Separation, through Characters with the Mind – had equally as one manifested Separation within the without of ourselves. And so to walk from consequence to actually creating/birthing life, is stopping all separation and aligning ourselves into and as equality and oneness here. And so, I commit myself to – identify my Characters as all the selves I had separated me into and as, with walking the components of the thoughts, internal-conversations/backchats and reactions; as I see, realise and understand that as long as I exist as Characters, I will always be in this war of friction/conflict within myself and my Mind, and will not be able to exist equal and one in my within and without with and as my Physical Body and so this Physical-Existence. And so, I walk myself from the war within to the stability of HERE, to show those that have gone before me – there is another way to life/living as equality and oneness; and so I become the Parent of Life to the children of the Mind, reversing the passing on of the sins of the fathers as Consequence; to producing the Fruit of Life from and of Me as a living example here. We’ll continue in the next post with the process of how we create/manifest the ‘voices the head’ as internal conversations/backchats, and so also the nature and manifestation of our thoughts, and within that our reactions and behaviours, and why/how it is that what is existent within us is OUR RESPONSIBILITY of ourselves, as we had accepted and so allowed ourselves to define and so merge who we are within our Mind-Physical relationship; and so why/how only EACH ONE can walk themselves in this process of birthing life from the Physical; as it’s each one’s responsibility individually to stop consequence and birth the process of life.